The curious mystery surrounding the shoot-down of Malaysia Airlines Flight 17 over eastern Ukraine on July 17, 2014, gets more curious and more curious as the U.S. government and Dutch investigators balk at giving straightforward answers to the simplest of questions even when asked by the families of the victims. 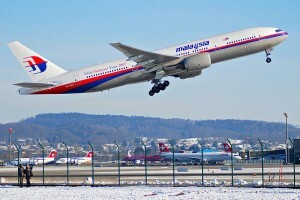 Adding to the mystery Dutch investigators have indicated that the Dutch Safety Board did not request radar information from the United States, even though Secretary of State John Kerry indicated just three days after the crash that the U.S. government possessed data that pinpointed the location of the suspected missile launch that allegedly downed the airliner, killing all 298 people onboard. Although Kerry claimed that the U.S. government knew the location almost immediately, Dutch investigators now say they hope to identify the spot sometime “in the second half of the year,” meaning that something as basic as the missile-launch site might remain unknown to the public more than two years after the tragedy. The families of the Dutch victims, including the father of a Dutch-American citizen, have been pressing for an explanation about the slow pace of the investigation and the apparent failure to obtain relevant data from the U.S. and other governments. I spent time with the family members in early February at the Dutch parliament in The Hague as opposition parliamentarians, led by Christian Democrat Pieter Omtzigt, unsuccessfully sought answers from the government about the absence of radar data and other basic facts. 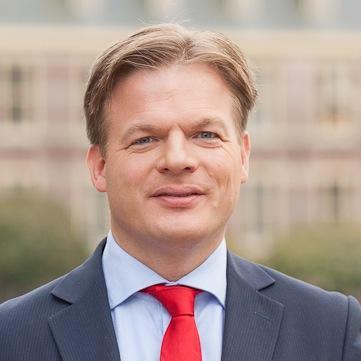 Image: Dutch parliamentarian Pieter Omtzigt. 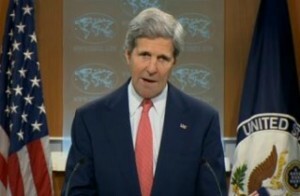 This lack of transparency, of course, has a propaganda value since it leaves in place the widespread public impression that ethnic Russian rebels and Russian President Vladimir Putin were responsible for the 298 deaths, a rush to judgment that Secretary Kerry and other senior U.S. officials (and the Western news media) encouraged in July 2014. 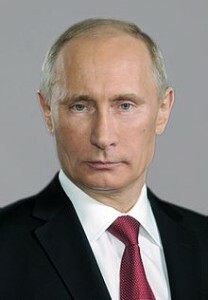 Image: Russian President Vladimir Putin. Once that impression took hold there has been little interest in Official Washington to clarify the mystery especially as evidence has emerged implicating elements of the Ukrainian military. For instance, Dutch intelligence has reported (and U.S. intelligence has implicitly confirmed) that the only operational Buk anti-aircraft missile systems in eastern Ukraine on July 17, 2014, were under the control of the Ukrainian military. In a Dutch report released last October, the Netherlands’ Military Intelligence and Security Service (MIVD) reported that the only anti-aircraft weapons in eastern Ukraine capable of bringing down MH-17 at 33,000 feet belonged to the Ukrainian government. One could infer a similar finding by reading a U.S. “Government Assessment” released by the Director of National Intelligence on July 22, 2014, five days after the crash, seeking to cast suspicion on the ethnic Russian rebels and Putin by noting military equipment that Moscow had provided the rebels. But most tellingly the list did not include Buk anti-aircraft missiles. In other words, in the context of trying to blame the rebels and Putin, U.S. intelligence could not put an operational Buk system in the rebels’ hands. So, perhaps the most logical suspicion would be that the Ukrainian military, then engaged in an offensive in the east and fearing a possible Russian invasion, moved its Buk missile systems up to the front and an undisciplined crew fired a missile at a suspected Russian aircraft, bringing down MH-17 by accident. But Ukraine is a principal participant in the Dutch-led Joint Investigative Team (JIT), which has been probing the MH-17 case, and thus the investigation suffers from a possible conflict of interest since Ukraine would prefer that the world’s public perception of the MH-17 case continue to blame Putin. Under the JIT’s terms, any of the five key participants (The Netherlands, Ukraine, Australia, Belgium and Malaysia) can block release of information. The interest in keeping Putin on the propaganda defensive is shared by the Obama administration which used the furor over the MH-17 deaths to spur the European Union into imposing economic sanctions on Russia. In contrast, clearing the Russians and blaming the Ukrainians would destroy a carefully constructed propaganda narrative which has stuck black hats on Putin and the ethnic Russian rebels and white hats on the U.S.-backed government of Ukraine, which seized power after a putsch that overthrew elected pro-Russian President Viktor Yanukovych on Feb. 22, 2014. Accusations against Russia have also been fanned by propaganda outlets, such as the British-based Bellingcat site, which has collaborated with Western mainstream media to continue pointing the finger of blame at Moscow and Putin – as the Dutch investigators drag their heels and refuse to divulge any information that would clarify the case. Perhaps the most detailed – although still hazy – status report on the investigation came in a recent letter from JIT chief prosecutor Fred Westerbeke to the Dutch family members. The letter acknowledged that the investigators lacked “primary raw radar images” which could have revealed a missile or a military aircraft in the vicinity of MH-17. Image: Russian-made Buk anti-aircraft missile battery. Ukrainian authorities said all their primary radar facilities were shut down for maintenance and only secondary radar, which would show commercial aircraft, was available. 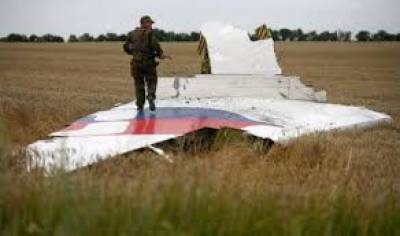 Russian officials have said their radar data suggest that a Ukrainian warplane might have fired on MH-17 with an air-to-air missile, a possibility that is difficult to rule out without examining primary radar which has so far not been available. Primary radar data also might have picked up a ground-fired missile, Westerbeke wrote. “Raw primary radar data could provide information on the rocket trajectory,” Westerbeke’s letter said. “The JIT does not have that information yet. JIT has questioned a member of the Ukrainian air traffic control and a Ukrainian radar specialist. They explained why no primary radar images were saved in Ukraine.” Westerbeke said investigators are also asking Russia about its data. Westerbeke added that the JIT had “no video or film of the launch or the trajectory of the rocket.” Nor, he said, do the investigators have satellite photos of the rocket launch. “The clouds on the part of the day of the downing of MH17 prevented usable pictures of the launch site from being available,” he wrote. “There are pictures from just before and just after July 17th and they are an asset in the investigation.” According to intelligence sources, the satellite photos show several Ukrainian military Buk missile systems in the area. Image: Secretary of State John Kerry denounces Russia’s RT network as a “propaganda bullhorn” during remarks on April 24, 2014. 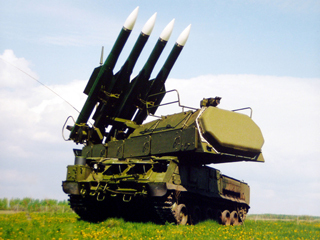 By contrast, Almaz-Antey, the Russian arms manufacturer of the Buk systems, conducted its own experiments to determine the likely firing location and placed it in a much smaller area near the village of Zaroshchenskoye, about 20 kilometers west of the Dutch Safety Board’s zone and in an area under Ukrainian government control. Meanwhile, the U.S. government continues to stonewall a request from Thomas J. Schansman, the father of Quinn Schansman, the only American citizen to die aboard MH-17, to Secretary Kerry to release the U.S. data that Kerry has publicly cited. 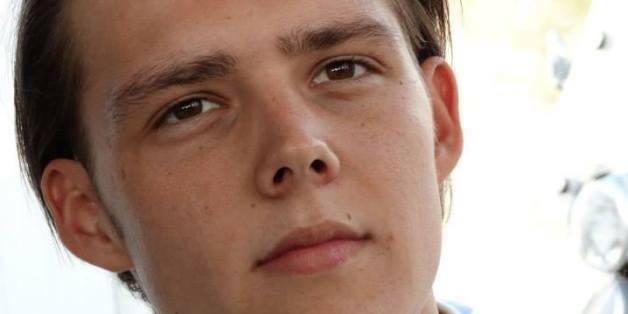 Quinn Schansman, who had dual U.S.-Dutch citizenship, boarded MH-17 along with 297 other people for a flight from Amsterdam to Kuala Lumpur on July 17, 2014. 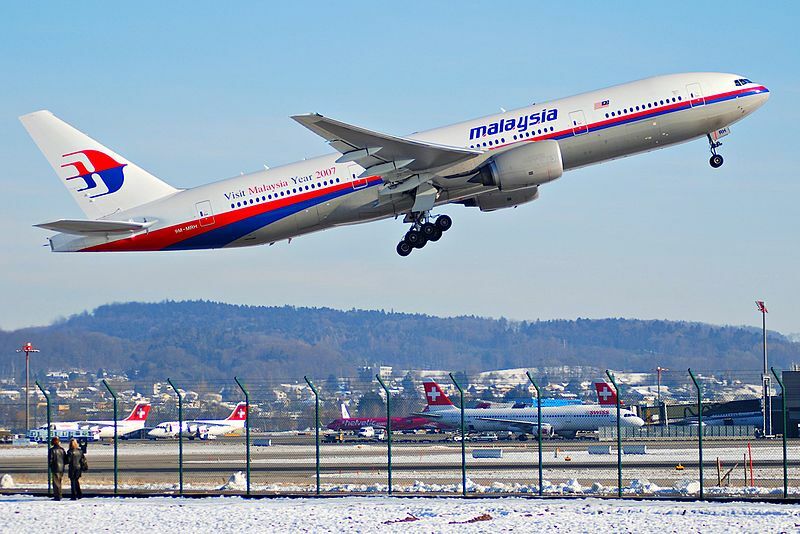 The 19-year-old was planning to join his family for a vacation in Malaysia. Although U.S. consular officials in the Netherlands indicated that Kerry would respond personally to the request, Schansman told me this week that he had not yet received a reply from Kerry.